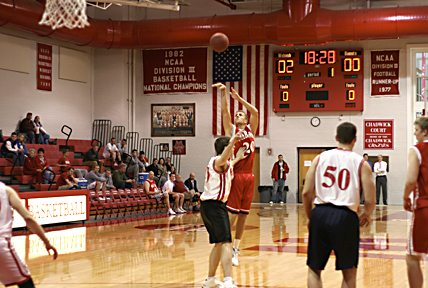 Alumni from several decades returned to Wabash this past weekend to enjoy the festivities surrounding the annual Alumni game. This weekend was special in that it recognized the 25th anniversary of the 1982 National Championship team. Coach Bob Brock was also honored and several alumni from the 1950s and 1960s gathered to honor their coach. For photos from the alumni game, click here.